I absolutely fell in love with this image on the Artiste cartridge and couldn't wait to cut it out! 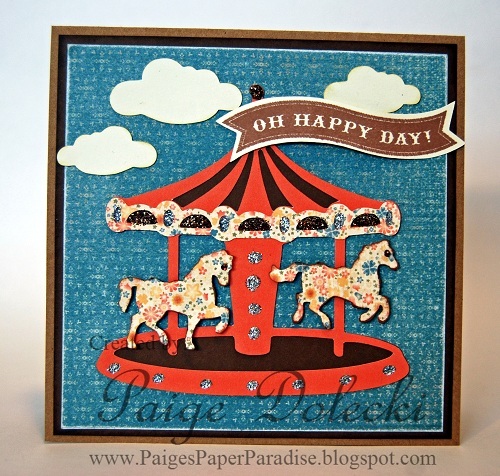 I used our new Clementine paper pack to give it a country fair feel. A bit of Glitz Glitter gel, a couple of clouds also from Artiste, and ka-pow one adorable card! 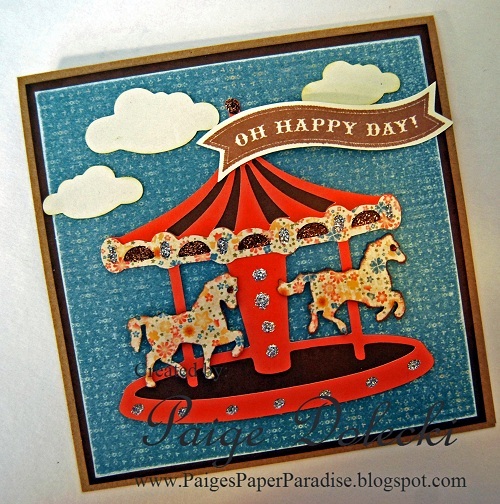 The sentiment tag comes in one of the 3 stamp sets included with the cartridge - score! For those of you coming to my Summer Customer Carnival, just wait till you see this cut at full 12" size - too fabulous and fun! I'm getting REALLY excited about my Summer Customer Carnival! I've ordered the cotton candy machine (my kids are SO excited about that one! ), a few props for silly photos and some other surprise items to make this carnival a blast! I hope you'll be able to join me on August 23rd! Whoo-hoo! New Clearance items on my website! Summer Customer Carnival on Thursday, 23 August!